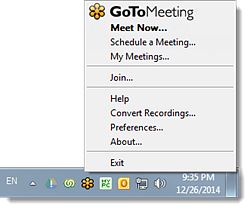 GoToMeeting is a web-based tool for recording online meetings, webinars, and screen shares. 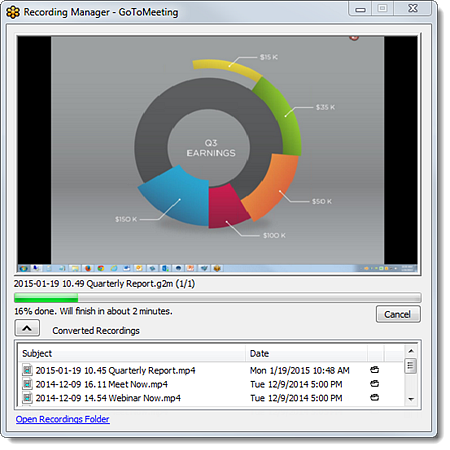 Upon completion of the recording process sessions are saved in GoToMeeting’s proprietary format, .GTM . .GTM media files are not supported by 3Play Media so sessions in this format must be converted to a format supported by 3Play Media like .mp4, .mov, or .wmv. 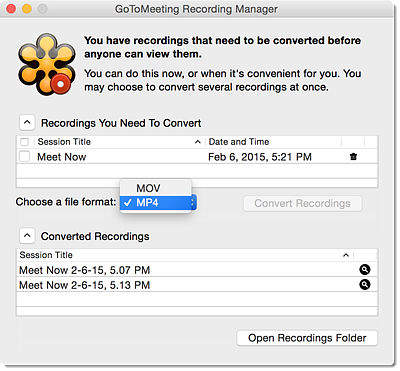 Please note that mp4 is the preferred format to convert GTM files to. 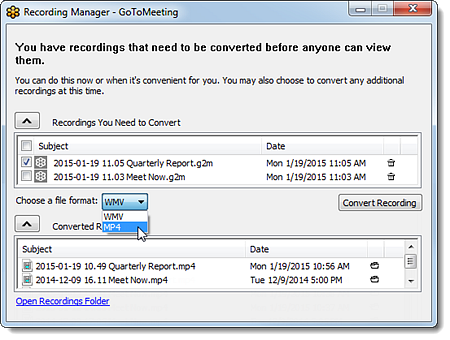 Follow the steps below to convert a .GTM file to a format supported by 3Play Media using GoToMeetings Recording Manager. Depending on how the GoToMeetings Recording Manager settings are configured the Recording Manager will launch either immediately upon completion of the recording process or will need to be be manually launched. In the Recording Manager locate the recordings you need to convert and select them by checking the boxes next each recording. Click Choose a file format and from the drop-down menu that appears select the desired format .wmv or .mp4 for Windows, .mp4 and .mov for Macs. The conversion process will begin for the selected files. 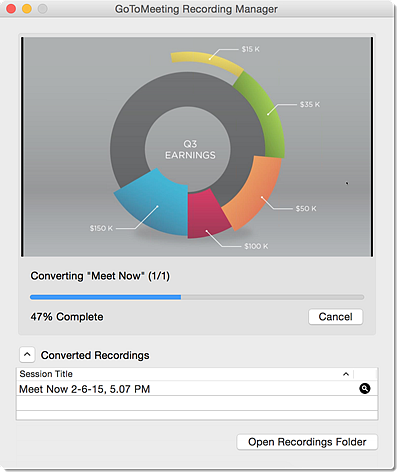 The recording may take some time to process and convert, depending on which recording media format you chose. Once the file has been successfully converted, it will be moved to the Converted recordings list in the Recording Manager. Click the Folder icon to automatically open the folder on your computer in which the converted file is stored. Next upload the .WMV. .MP4 or .MOV files directly from your computer to your 3Play Media account for transcription and closed captioning services.